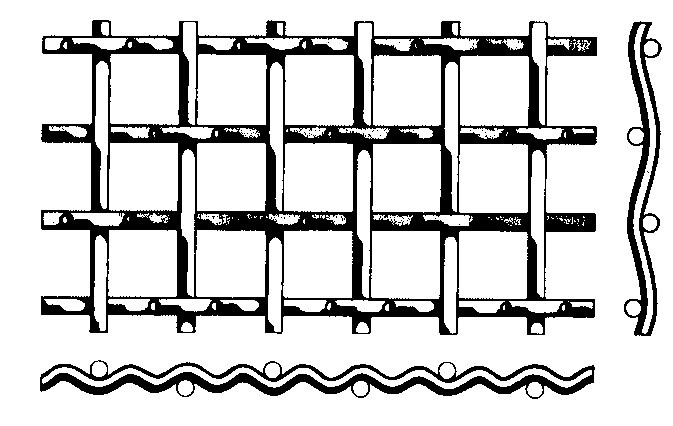 Woven Wire is available in several crimps and weaves as shown below. 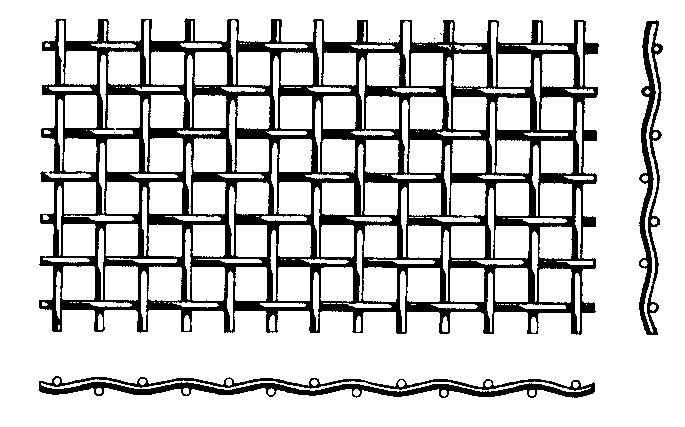 Standard type of weave for wire cloth resulting in square openings with wire sizes the same in both directions. Each warp wire passes alternately over and under fill wires at right angles both directions. 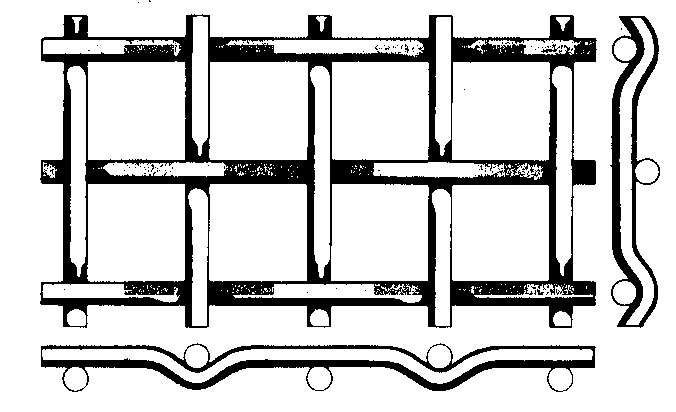 Similar to Plain Crimp however, only odd intersections are used. Top surface of wires all lie in same plane, results in irregular crimped surface on underside. Flat surface improves flow of materials over screen panels by reducing friction. 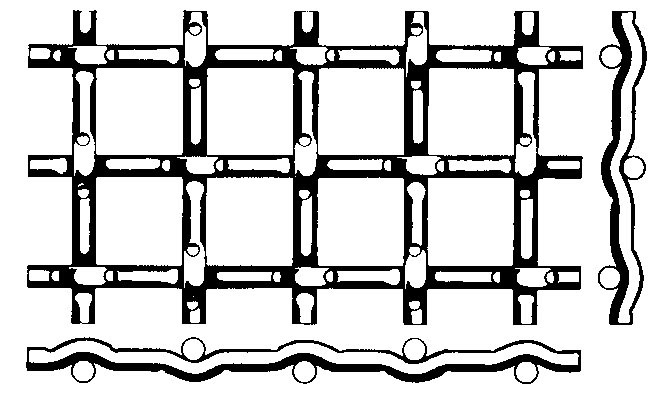 A more modern and versatile crimp style, lockcrimp is formed by a straight section of wire weaved with distinct crimp or pockets at wire intersections. Yields a truly tight dimensionally stable mesh. Designers find the visual look of lockcrimp aesthetically pleasing. Each warp wire and fill wire pass successively over two and under the next adjacent pair of wires, resulting in a more pliable weave. Commonly used for filtration of fine particles. Other crimps and weaves are available, please inquire.